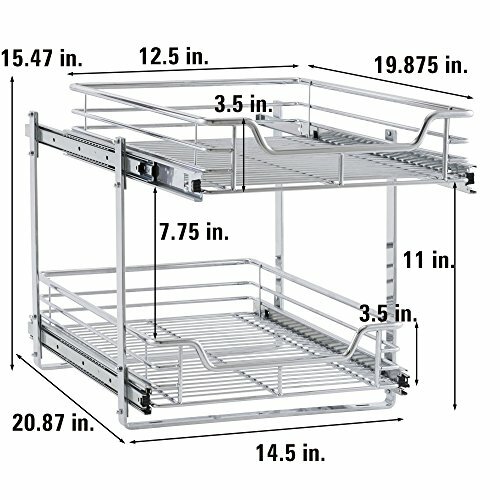 This sliding under cabinet organizer has 2 independently sliding tiers and is 14.5"W x 21"D x 15.5"H. Household Essentials glidez dual slide under cabinet sliding organizers attach to the bottom of kitchen and bathroom cabinets to quickly bring the back of the cabinet in reach. Their 2-tier of baskets slide in and out of the cabinet independently, making the bottom basket easier than ever to get into. 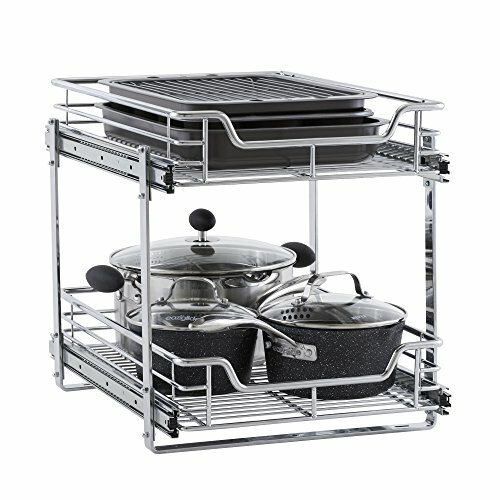 These industrial organizers are made from premium chromed steel, with thicker, stronger wire than the competition. 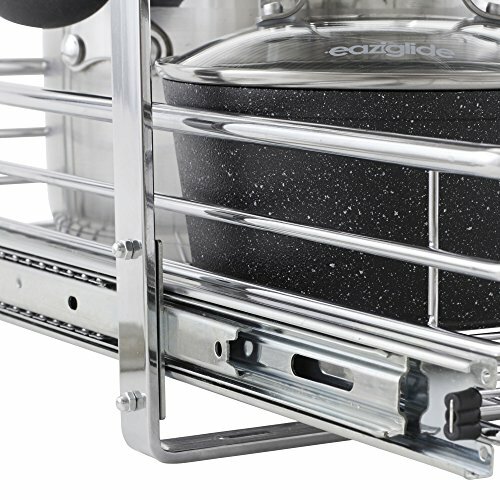 The sturdy vertical glides 2 inches tall and support up to 88 lbs. 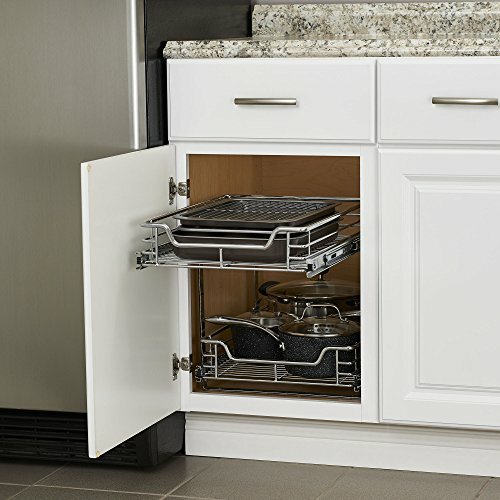 Glidez organizers create a custom kitchen with organization that fits your cabinets' width, depth, and height. Organizers slide all the way out of the cabinet, clearing the door completely when installed as directed. 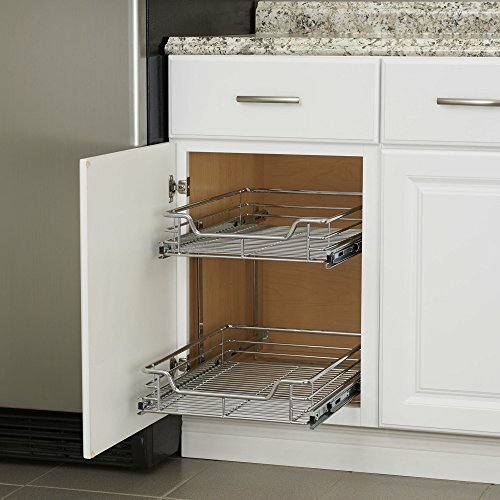 This means less bending and reaching to get to whatever you store in your cabinets. 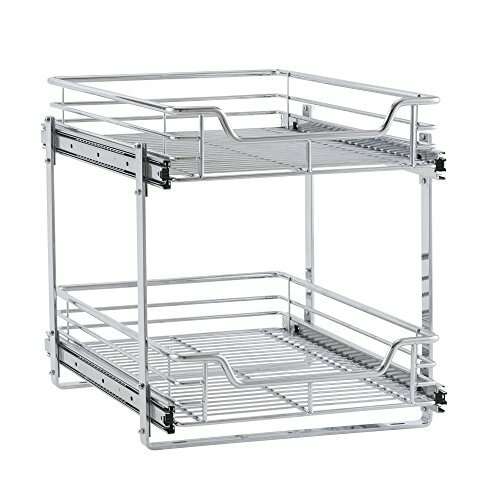 Perfect for kitchen storage, bathroom storage, and even closets and pantries (glidez organizers can attach to commercial shelving with cb2000-6 brackets, sold separately)! tailor your cabinet space and bring the back of the cabinet to you with glidez under cabinet storage and organization. 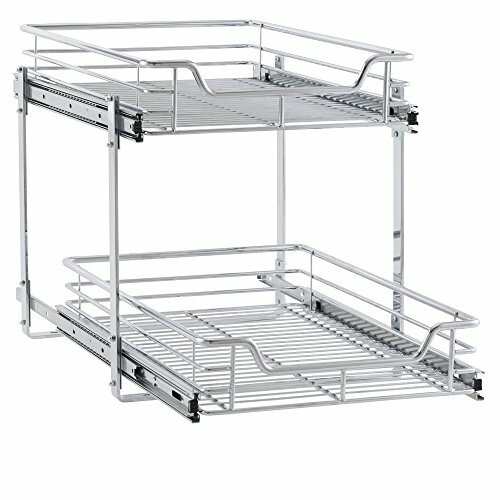 Dual slide glidez under cabinet organizers are 15.5 inches high and 21 inches deep. They are available in 11.5 and 14.5 inch wide options. If you have any questions about this product by Household Essentials, contact us by completing and submitting the form below. If you are looking for a specif part number, please include it with your message. Homitt 20 Cans Soft Pack Cooler Insulated Soft Sided Cooler with Hard Liner and Heavy Duty Waterproof TPU Material for Taking Lunch, Camping, Sea Fishing, Daily Trip to Beach, Family Picnic, etc.